If you are longing for a beach vacation nearby, then have a look at the little known yet marvelous Oscoda beaches. This means it saves you a huge airplane-ticket when your wallet doesn't feel like joining me on the Bali beaches. 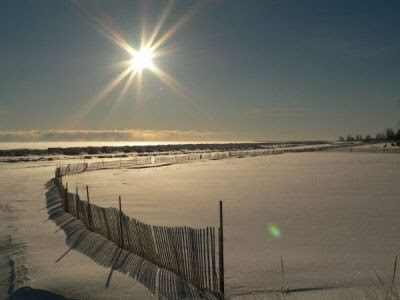 Oscoda beaches are in Northeast of Michigan, on the shores of Lake Huron, stretching for miles along the Lake Huron shoreline. To the west Oscoda town adjoins the Huron National Forest with many year-round activities including fishing, hiking, canoeing, cross-country skiing, and snowmobiling. This makes Oscoda one of Michigan's finest recreation areas. Although not well known, there are quite a lot of rentals, hotels and motels available for your Oscoda beach vacation. Why traveling all the way to my tropical beach where people hardly speak your language when you have beautiful beaches nearby? Especially a beach next to a National Forest is my favorite. Just imagine the trekking you can do there without starting to sweat like you would do in our tropical rainforest here in Bali, Indonesia, Malaysia and Singapore. But if you are looking for some privacy yourself, rest assure you will find plenty secluded spots on Oscoda beaches which I find is priceless!